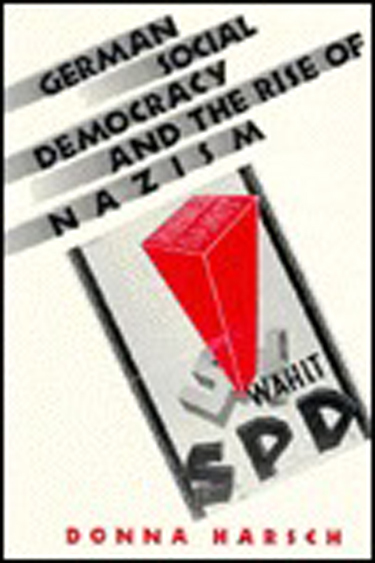 This is an outstanding compilation of the way the German Socialist Party (SPD) defended Jews, many of whom were members of the party, against Nazi attacks. There is a mind-numbing list of particulars, all of which have the ring of truth. that nobody but socialists would read. The SPD was sincere, and they recognized the problem, and their counter-arguments were to the point, but I suspect they convinced nobody who wasn’t already convinced. What form might action have taken, as opposed to speech? Perhaps an outreach to voters outside the SPD perimeter? Perhaps an outreach to the Catholic and Lutheran churches who continued to teach their Christian antisemitic message throughout the Hitler years? Perhaps an international appeal, or at least an effort to create greater awareness, in France, England, or the US? Of course this is all with hindsight, and nobody at that time anticipated the ovens, and as Donna Harsch so clearly articulated in German Social Democracy And The Rise Of Nazism (the last book I read and reviewed here), those kinds of political initiatives were well beyond the capability or even the inclination of anyone in the SPD.